My first experience with dolci momenti was for my daughter’s first birthday. Crystal was amazing from beginning to end. We communicated before the session; she advised me what to bring and was quick to answer any questions I had. Our session experience was amazing. Almost 2 hours with a one year old and not only was she extremely patient, but she even made it a fun experience! After the session, our gallery was quickly made available and Crystal was again in contact with us to help with any questions. Overall the experience was perfect, but the best part was the photos. Crystal captured some of the most beautiful photos of our daughter. Her work is unique, creative and absolutely above the rest. This was our first experience with dolci momenti, but it definitely won’t be our last! For years I have enjoyed seeing my friends gorgeous family pictures taken at Dolci Momenti. When my husband and I were expecting I couldn’t imagine anyone else capturing this milestone for us. From the moment I contacted Crystal she was a delight to work with. She answered all of my questions and was very accommodating to make sure I had a pleasant experience. Once at her studio she gave amazing direction to ensure the pictures were perfect. She is very creative and a perfectionist so you can rest assured you will have pictures you will treasure for years to come. I first met Crystal in December of 2011 when she captured my maternity session. From that moment on I knew she would be my lifetime photographer. Over the past 5 years not only has she captured all the most important milestones in myself, my husband & my daughters life, she has also became one of my very good friends. The walls in my house scream elegance as they are covered with family photos. All of which Crystal took. When I was planning my wedding she was by my side inspiring me and always helped me keep a positive mindset. The one thing that always intrigued me about Crystal was she never tried to “force a pose” or “create a moment”. She lets the moment come to her. After looking through our wedding photos I was left in tears. Tears of pure joy. The photos were more than I could of ever imagined. Putting my trust in her was the best decision we have ever made & will continue to make. She is an amazing photographer, mother, wife & most importantly friend. Thank you Crystal, for being so amazing! 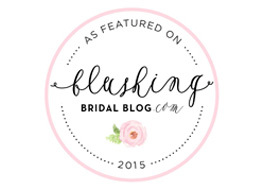 I discovered Dolci Momenti through a friend who had hired Crystal to photograph her wedding. I thought the pictures were stunning, but then when I saw her Mother’s Day and newborn pictures I fell in love and knew I had to get in touch. I started out with a Santa Session for my baby girl’s first Christmas and was hooked. 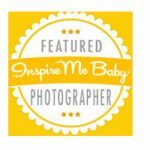 Since then, I have hired Crystal to photograph many other milestones such as my first Mother’s Day, my daughter’s first birthday, and a ‘Belly to Baby’ maternity/newborn package for my son. Through each of these, Crystal has been extremely accommodating, and just fantastic with the children. I jokingly called her ‘The Baby Whisperer’ after I saw how gentle, patient, and just amazing she was with my newborn. Crystal truly has a gift, and her pictures reflect the talent and hard work she puts into her art. Many others try to replicate, but none have come close. Crystal works very hard at maintaining a gorgeous studio space and invests money and thought into constantly having the best and latest props/wardrobe/accessories readily available to each of her clients and their individual tastes, and I can see that she invests in herself by attending workshops and always trying to stay ahead of the trend so she can give her customers the very best service. Understandably, this does come with a price tag. Dolci Momenti is definitely not the cheapest in the area, and I only wish I could afford to have every single milestone captured by her, but take a look through her portfolio and see just how beautifully she captures these fleeting moments in our lives. It is well worth it, and I would recommend her to anyone and everyone. Crystal is simply amazing! Not only is her work absolutely beautiful, but she was so awesome with my son. During our session my son had some teeth coming in and was nothing short of miserable.. Crystal had the patience of a saint and managed to get lots of smiles out of him, you would of never known looking at his pictures! Thank you Crystal, can’t wait to have you photograph more memories for us in the future. 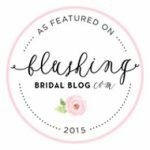 I met Crystal (Dolci Momenti Photography) on a whim while I was searching for a photographer to shoot a maternity and newborn session for our first daughter. Compared to other photographers in the area her prices were very reasonable and we connected with her work. This began a 2 year relationship where Crystal has beautifully photographed cherished moments of our ever growing family. From my maternity session, our daughter, Harper’s newborn session (at 7 days old), Santa sessions, Mother’s Day, a wonder woman 1st cake smash, a second maternity session, to any day now the arrival of our second baby girl. Crystal takes great pride in her work and is a true perfectionist which is reflected in the product she delivers. I could not believe the amount of time and attention to detail she spent during our daughter’s newborn session. I was truly blown away and knew we found the perfect person to shoot our family for years to come. Crystal is an artist and is always looking for new ways to capture the love of our family. She has always allowed me to have creative input into every shoot we have done which makes the experience extremely personal. One of my favorite things to do is look back at the treasures she has captured of our daughter. As cliche as it seems time does fly and they grow up before you even realize it’s happening. Having the pictures and art we have is a decision I am truly grateful we made and couldn’t ask for a better photographer. I’m so happy I had Skylar’s first birthday pictures taken at Dolci Momenti! Crystal was great at making my daughter feel relaxed and enjoy the experience while getting gorgeous pictures. I have a smash cake picture of her hanging up at work and people have told me the picture looks like it is artwork from a magazine. Prints are high quality and shipped quickly. 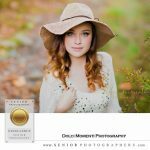 I would definitely recommend Dolci Momenti to anyone and I look forward to having more amazing moments captured by Crystal. I want to first say how happy I am that I chose Dolci Momenti and Crystal to take my senior pictures! 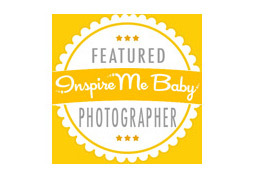 I searched for months to find the perfect photographer to capture this huge milestone in my life. When I stumbled upon Dolci Momenti that was it, I knew I had found someone who would capture my personality and style perfectly. From my first emails and phone calls with Crystal she was nothing but helpful. When it came time to actually get my photos taken she made me feel so incredible! I was beyond conferrable and had so much fun the whole session. Crystal is so open to what you want for your pictures and I feel that is what made my pictures me! I knew leaving my session that my picture were going to be amazing but when I opened my gallery I was in awe. There was not one picture that I didn’t absolutely love. I felt the most beautiful I have ever felt while Crystal was taking my pictures and it showed in everyone. I am beyond grateful to Crystal for capturing this amazing milestone in my life and I can’t wait to have her capture many more! Where do I begin? I met Crystal four and a half years ago as a first time mother of a newborn baby girl. A friend had purchased a sitting package for me. I had never heard of Dolci Momenti until then and was quiet nervous of what to expect during my session. After all, I had a newborn baby! Babies cry, and poop and feed a lot and I was worried the newborn session was not going to work out! Crystal immediately sent me all the information I needed to feel safe and comfortable about what this experience would consist of. Crystal ensured me she takes extreme pride in making parents feel safe in who is handling their bundle of joy. Well the day came, my daughter was 6 days old and I fell in love! I was not only completely blown away by all the accommodations made for a newborn, but she was very nice, inviting and always took extra precautions to ensure a safe and soothing environment! Since then, I have never been to another photographer! We adopted Crystal as our ” family photographer” and have scheduled every important milestone and occasion big or small with Dolci Momenti. Every single time we go, Crystal never ceases to capture the perfect moment!! So, to all future potential clients, Crystal and Dolci Momenti is very worth the investment! From milestones, to Mother’s Day….. Christmas cards, and every important memory in between …. I only choose Crystal to capture those important times. Since 2013 I have been blown away and impressed each and every time with her unique ability to truly capture those special images that only she can. Her professionalism, warm heart, and genuine love for photography really shine through when you meet her. It takes me eternities sometimes to get my 3 year old son to smile for the camera….. it takes her only seconds! 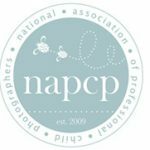 I truly feel that above all else, the quality shines through in every photo because of her commitment to her clients to capture the very best memories for them to look back on and cherish for years to come. Maybe I am biased, but I think she is hands down, the most talented photographer in the area. She has an amazing sense of style and artistry-always thinking out of the box. She has captured all of our most precious moments and memories beautifully. After a session, I am waiting with bated breath to see the finished product! If you have young children, do not fear. Crystal is unbelievably patient- wonderful with children, and is able to get amazing results. My 7,4, and 2 year old look forward to their many photo sessions. 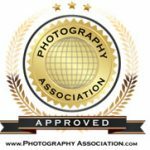 If you are looking for a creative, unique, outgoing photographer- then Crystal is the one for you! You will have an amazing depiction of your family’s story- and photographs that all your friends will be jealous over. We can not thank Crystal enough for the amazing work she has done for us, and look forward to all the memories that she has yet to capture. Crystal is one of the BEST photographers in NEPA. I fell in love with her work in 2012 when I found out I was pregnant. She has captured my belly, to baby number one, baby number two and every Christmas in between. I have never been disappointed with her work. No one else compares (although they try). She has patience and a way with children to get those perfect, stunning pictures we all want. Crystal is wonderful! I would not want to go anywhere else for my daughter’s pictures! She is very creative and works very well with the children. It’s not easy to tame a one-year-old and get them to pose pretty for pictures, but we were all able to have fun while she captured beautiful memories. She made our daughter laugh and smile the whole time. Her photos are beautiful and the experience in her studio was so much fun! We can’t wait to book another session! There is absolutely no one else I would trust to capture my “dolci momenti”. I recently finished my fifth session with Crystal and have already scheduled my sixth. I learned a lesson in the department of “you get what you pay for” with my wedding pictures. In trying to save money where I could I went with a bargain photographer based on WHAT you get with the package, instead of taking into account WHO you get with the package. Big mistake. I ended up with boring, posed photos with absolutely no creativity or imagination. This is certainly not what you get when you book with Dolci Momenti. With Crystal, you get a photographer who instantly feels like a friend. She is just as excited about capturing your special occasion as you are. She can’t wait to hear your ideas, offer advice and take the extra steps to make your session exceptional. During your shoot she makes you feel truly at ease in front of the camera, which ultimately leads to beautiful and genuine images. 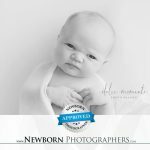 Because of her extensive training (both as a newborn photographer, and mom of five herself), I had absolutely no problem trusting her with my brand new babies. She handled them with such great care that I almost wanted her to come home with us! Once you are finished, she works tirelessly at editing those images to give them that extra little something that sets her work apart from any others I have seen. The finished product you receive is a treasure to be cherished for a lifetime! I cannot stress enough how much I value the pictures that fill my home, thanks to the gift of her talent. I look forward to Crystal capturing all of the “dolci momenti” in my family for years to come! My daughter Isabel just turned one year old. The time goes so fast. 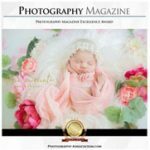 In the last year, we have had three amazing photo sessions with Crystal at Dolci Momenti Photography: (1) Newborn; (2) 6 Months; and (3) One year and Cake Smash. I have been continuously impressed with the quality of the photographs that are produced from our photo shoots with Crystal. Everyone raves about the photographs of Isabel. From my closest friends and family, to my colleagues and acquaintances at work and on social media, everyone says I have a beautiful, perfect baby. One woman even told me that Isabel could be a model baby. While I certainly agree that my daughter is beautiful, I have to credit Crystal for the beauty and purity that shines through in her photographs. Crystal is patient and gives a great deal of attention to detail. 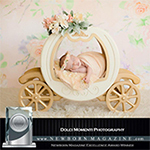 She takes time to set up a background scene so it is perfect, and she is patient and kind with a crying newborn baby or a curious moving toddler. She will spend hours working with me and my daughter to get the perfect shot. It is this hard work and persistence that many photographers lack, and, more importantly, it is this hard work and persistence that has made the beauty and purity of my Isabel, and so many other precious children, come through so perfectly in the pictures that Crystal takes. I am so incredibly happy that I met Crystal and that I invested in her work and pictures. The pictures we have purchased from her will forever be cherished in our home. I highly recommend her. to get info on upcoming events & specials!